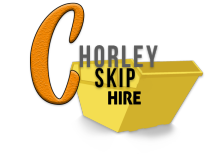 At Chorley Skip Hire we offer an excellent range of comprehensive skip hire services with our Commercial, Domestic and Industrial Skips. Our expert team will be able to advise you on the best possible solution for your waste management needs. Contact us today for a quick and easy quote. Our Commercial Skips will provide your business with reliable, secure and cost effective waste management. We are sure you will find the perfect solution for your business with our excellent range of skip sizes. Speak with our friendly team of advisors to discuss your commercial waste management requirements. Domestic Skips are perfect for home improvement projects, gardening and house clear outs. Our helpful team will guide you to ensure you dispose of your domestic waste in a simple and environmentally effective manner. Hiring a skip with us will allow you to concentrate on your project instead of worrying about disposing of your waste. Finding the ideal solution for your domestic waste with our skip hire service is easy. With our range of Industrial Skips, we can help you to dispose of large quantities of industrial or construction waste quickly and easily. Safely managing your industrial waste is important to us and our experienced and helpful team will ensure we find the best solution for your business. Chorley Skip Hire has the experience and expertise to guide you to make the right choice for your Domestic, Commercial or Industrial waste management needs. Contact our team today for a hassle-free, quick and easy quote.